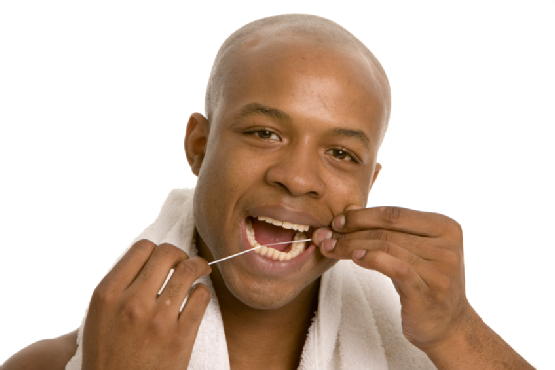 Flossing your teeth just once each day can extend the longevity of your teeth and gums. To reap these benefits, though, you must know how to floss right. Key to effective flossing is making sure the floss goes underneath the gum line. This practice removes harmful bacteria and food debris that can turn into plaque if left in the mouth. Take the floss between both hands and bring it up and under the gum tissue between each tooth. To ensure a thorough cleaning, you should wrap the floss around the tooth while gently rubbing it against the enamel at the gum line. As you progress through the flossing routine, move along the length of the floss so a clean piece is used for each section of your teeth. Are you concerned about your oral hygiene practices? Call Park 56 Dental at (212) 826-2322 to schedule a checkup at our NYC facility. Our dentists can examine your brushing and flossing techniques and recommend any changes if necessary. Emergency situations can produce confusion and panic no matter how calm you may be in everyday life. The sight of blood and sensation of pain might provoke an anxious response, which is why emergency dentists recommend that patients consider ahead of time how to handle an unexpected oral crisis. A variety of dental injuries can cause bleeding. An avulsed tooth, lacerated cheek, or cut lip can trigger extensive blood flow. This side effect can make it difficult to assess the severity of the condition . Depending on the amount of blood loss, it may also cause the injured person to become lightheaded, nauseated, or panicked. Apply firm yet gentle pressure to the injury site to slow blood loss. You may also want to place an ice pack on the cut to reduce swelling. A common dental emergency is a knocked out tooth. While the event itself may seem devastating, dentists can often reinsert the tooth and restore the patient’s smile. To ensure that someone with an avulsed tooth can enjoy this outcome, it’s essential to keep the tooth safe from additional harm. Upon locating the tooth, keep it moist and clean. Immersing the tooth in a cup of milk is the ideal means of transporting it to a dentist for re-implantation. Never underestimate the complications that a dental injury can cause. Even if a painful toothache subsides, it may indicate the presence of an abscess that could bring on tooth and jawbone harm. A chipped tooth can continue to fracture and suffer more damage. A misaligned jaw can lead to eating and speaking discomfort. By consulting an emergency dentist for help, you can receive the necessary treatment for a full recovery. Did you know that Park 56 Dental has an emergency dentist on call every hour of the day? We understand that a dental injury can happen just as easily at 3 a.m. as 3 p.m. If you suffer a significant oral issue, call our NYC office at (212) 826-2322 for immediate assistance . 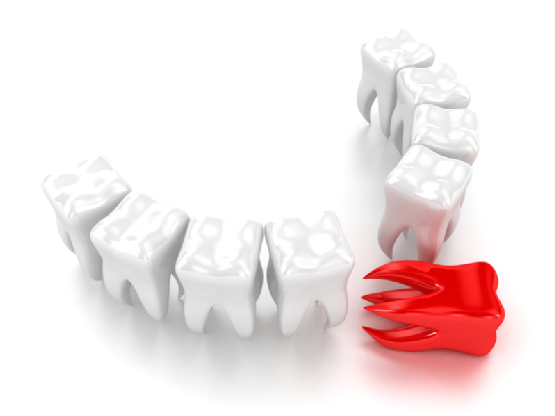 What would you do if a loved one suffered a knocked out tooth? This video offers some tips on how to prevent and address dental emergencies . Emergency dentists strongly urge preventative practices to avert tooth loss trauma. Anyone who engages in contact sports should wear a protective mouthguard. Athletes and non-athletes alike should avoid dangerous habits that could inadvertently crack or chip a tooth. Restrain from eating hard foods such as ice, seeds, or sweets that can harm teeth. You can also consult your emergency dentist to know ahead of time their office hours and contact number in the event of an accident. Park 56 Dental offers comprehensive dental care, including emergency treatment, for patients in the greater NYC area. Call us today at (212) 826-2322 to learn more about our services. Are you afraid to smile in public? Do you often think of orthodontic treatment, only to dismiss it because you don’t want to wear braces? You can have the straight, stunning smile you desire without conventional metal braces. Invisalign care offers all the advantages of braces, plus several additional benefits. If you want subtle cosmetic improvement to your teeth with none of the shortcomings of metal braces, ask your cosmetic dentist about your options for Invisalign treatment. A chief reason why so many adults decide against teeth-straightening care is because they don’t want others to know that they’re getting it. When you wear metal braces, you can’t hide them from others. When you wear Invisalign aligners, however, you can rest assured that no one will be aware of your treatment except you. 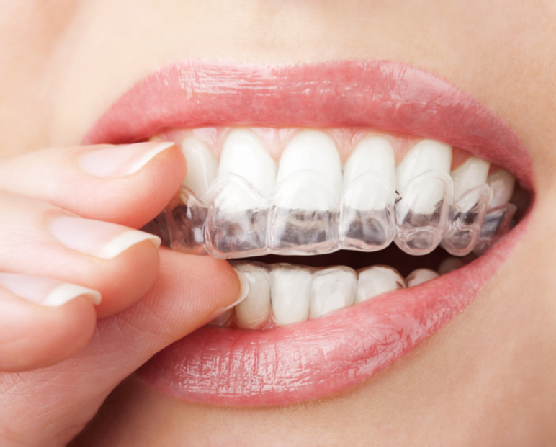 These totally transparent devices fit comfortably around your teeth and gently move them into alignment without anyone else realizing that you are undergoing orthodontic care. Metal brackets and wires can make it difficult to eat a wide assortment of foods, including apples and corn on the cob. Other foods such as nuts can cause significant pain after wire adjustment. Invisalign treatment comes with no food restrictions. These aligners can come out each time you sit down for a meal or have a snack. You can eat whatever you want whenever you want with no drawbacks. Because you can remove your aligners as needed, never do you have to compromise your oral hygiene habits. While traditional braces can make brushing and flossing difficult, since brackets and wires obstruct tooth and gum surfaces, Invisalign aligners allow for easy and comprehensive oral care. As a result, you can complete your Invisalign treatment without having to worry about cavity or gum disease complications. Would you like to learn more about the Invisalign system? Call Park 56 Dental at (212) 826-2322 for a complimentary consultation. We offer an extensive selection of cosmetic enhancement services for NYC residents. Maintaining a healthy smile is a daily task, and it begins with the right method of tooth brushing to clean your teeth without using too much pressure that may damage your tooth enamel. The right toothbrush will help you do the job correctly, and you can choose any shape toothbrush that is comfortable for you as long as the bristles are soft. When you brush, you should use toothpaste containing fluoride, which will help to fortify your tooth enamel day in and day out. Use gentle angled brush strokes, working in each quadrant of your mouth for 30 seconds at a time so that you brush for two minutes in total. Brushing should take place twice daily, and you should follow it with flossing in the morning or evening. For more tips on improving your oral hygiene and keeping your smile looking great, schedule a checkup with Park 56 Dental in NYC . You can reach us on our website or give us a call at (212) 826-2322.